Florida Title Loans is the number one source for title loans in Panama City! These loans are repaid on a short-term basis, often within two weeks or a month. A borrower uses their fully owned, non-financed vehicle as collateral. Loan approval is based on the value of the vehicle, with funds often made available within one business day. Title loan applications are quite a bit different from their counterparts at major banks. Instead of endless pages of personal information and several different credit checks, title loans depend almost entirely on the value of a borrower’s fully owned vehicle. To that end, the first section of the application requires basic contact information, like a borrower’s name, address, zip code, and phone number. Additionally, borrowers must verify that they currently hold the vehicle’s title. That title must indicate that there are no other lien holders who are currently using the vehicle as collateral for another type of loan, whether it’s a title loan or vehicle financing company. Once you enter this information your title loan estimate will automatically be given to you. 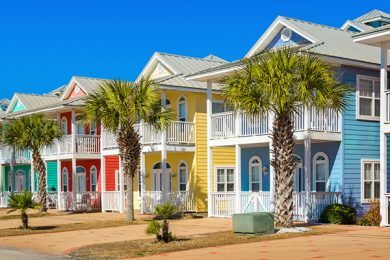 Florida regulators have enacted two provisions that provide oversight of title loan companies. First, borrowers should know that they’re entitled to a written loan agreement before agreeing to the loan and receiving funds. This agreement must include the loan balance, repayment schedule, effective interest rate, and details about what may happen if payments are not made on time. A second regulation requires that a loan provider be licensed in the state of Florida. Companies without this key license are not authorized to offer title loans or any other kind of short-term lending option. Short-term repayment periods are easier to remember. Customers don’t sign up for as many as five years of loan repayments. Credit approval is based on the value of the borrower’s car, rather than their banking history, credit history, and other complex calculations. Approval is often same-day, while loan funds are often available for use within 24 hours. With benefits like these, title loans may make sense for many customers in Panama City, or Tallahassee, Florida who are suffering a short-term financial hardship. With an easy application and short-term repayment, moving beyond financial stress can be much easier.